MSK client Helios and Matheson Analytics Inc. (Nasdaq: HMNY) has entered into a definitive agreement to acquire a majority stake in movie subscription technology company MoviePass Inc. for $27,000,000 of cash and stock of HMNY. The deal further implements HMNY’s growth strategy of expanding into industries with opportunities for big data and artificial intelligence innovations. Mallette LLP has recently been listed among the Top 25 largest accounting firms in Quebec for 2017 by les affaires. With more than 800 employees, Mallette ranked as the fifth largest firm in the region and is currently growing at a rate of more than 10% per year. On March 27th (2017), Unicomer Group Co. Ltd. closed a private placement of senior notes in international markets for US$350 million. These instruments, with a maturity set for 2024 and at a 7.875% rate, were issued in compliance with Regulation 144A/Regulation S of the U.S. Securities Act and were guaranteed by Unicomer subsidiaries throughout the Western Hemisphere. Hunte & Co. Partner Laura S. Arthur was selected to provide legal counsel for the British Virgin Islands. Unicomer Group is a leading retailer of durable goods in Latin America and the Caribbean, focused in medium and average income sectors. They also serve the Hispanic and Caribbean population in Texas and New York (United States). Unicomer sells many products, including household appliances, electronic goods, furniture, motorcycles, mobile devices, computers and clothing. It has branches in 24 countries in Latin America and the Caribbean, operating 1,061 stores, under various brands. 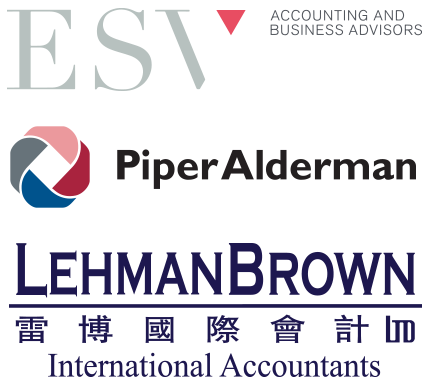 TAG Alliances members in Sydney, Australia, Piper Alderman (TAGLaw) and ESV (TIAG), are collaborating with TIAG member LehmanBrown (Beijing & Shanghai, China) to host an exclusive "Doing Business in China" Seminar on Thursday 30 March. Russell Brown OBE, Managing Partner of LehmanBrown will provide an overview of the current business environment on the ground in China. Russell is also the Director and Treasurer of the Australian Chamber of Commerce in China and has been involved with establishing and developing business in China for the past 28 years. Russell will help demystify the Chinese market, specifically key taxation, accounting and compliance obligations for both business entities and individuals, and will identify key operational challenges, local rules and cross-border risks of doing business in China. Hassan Elhais of Al Rowaad Advocates & Legal Consultant (United Arab Emirates) was recently recognized by Acquisition International as UAE’s Leading Adviser of the Year for 2016. Mr Elhais says the award is a great recognition of his skills and abilities, though he acknowledges the great support of his talented team who have helped him provide such outstanding services to his valued clients. Acquisition International is a corporate finance digital magazine that is part of a UK-based publishing house producing more than 200 magazines, supplements and websites.